Besides video games I also regularly play board games when I'm hanging out with people face to face. My brother, my wife, and I end up playing a lot of 3 player board games, but sometimes we get other players involved too. 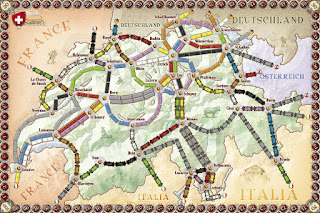 Ticket to Ride - We own 3 different base versions of Ticket to Ride, 2 expansion sets, and an extra map set. We love this game. This is the game that gets the most overall table time when I'm playing board games with friends. It's super accessible but still holds fun for people who have been playing the game for a long time. I recommend this as a great beginner board game for anyone. 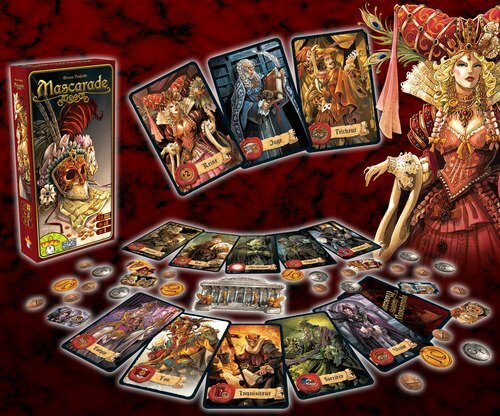 Masquerade - A hidden role game where roles are constantly switching hands. You're limited in actions on your turn and can only take one action. This means that a lot of the time you're not entirely sure what role you currently have. It makes for an amazing game of bluffing and calling of bluffs. We play it often with 3 people, but it really shines if you can get 4+. Saboteur - You are a dwarf and you want to be the first to reach the gold, but you also want to work with your fellow dwarves or you'll never make it there. That's all well and good, except there's a chance in every game that one of you might actually be a saboteur. If you end up with that role you essentially try to sabotage everything since you get points if no one reaches the gold. This is a fun game of backstabbing. 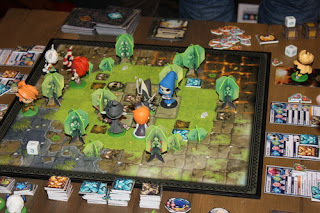 Krosmaster Arena - This game was pitched to me as a MOBA in board game form. I can see where that vibe is coming from, but it's not entirely accurate. There are no mobs, lanes, towers, or bases in this game. There are unique heroes with their own powers and play styles. There's in game currency, equipment, buffs, and scoring. I haven't played this game enough to know if I like it yet but I do find the premise interesting. 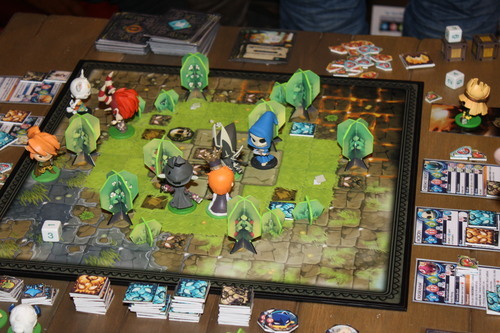 Do you guys have any board games that you regularly play? Or any recommendations for games I should check out? Ticket to ride is my wife favourite game and we play it quite a bit. Like yourself we tend to mostly play 3 player titles, it terms of games we some for quick games like Tsuro, Love Letter (original and hobbit) or Zombie Dice. Sometimes we fancy co-op games so get out Forbidden Island, Castle Panic, Pandemic or for some opposition Last Night on Earth. More recently we have added more games into the mix including The Cave, P.I. & Zombies!!! We play a bunch of those like Love Letter, Zombie Dice, Forbidden Island, Castle Panic, and Pandemic. Great game recommendations! I should check out the others you mentioned. 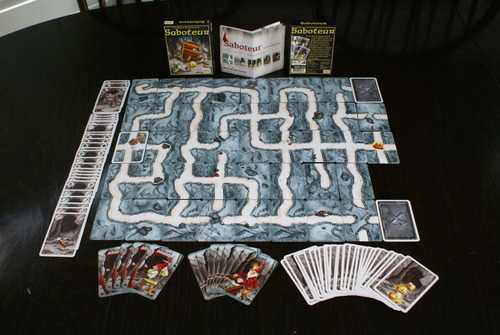 I've never played Tsuro, The Cave, or PI & Zombies. I was just teaching the girlfriend Ticket to Ride. She plays Solitaire a lot on her laptop, and I told her I had a fun alternative and showed her the PC version of the game. I prefer it offline with friends, but playing it solo against AI is a fun alternative when you want a simple, straight forward game that has no real time or brain commitment to it. I sometimes play the iOS version solo. It's a fun game to kill some time with. I greatly prefer playing it with other people around the table, but it's a decent digital game too. 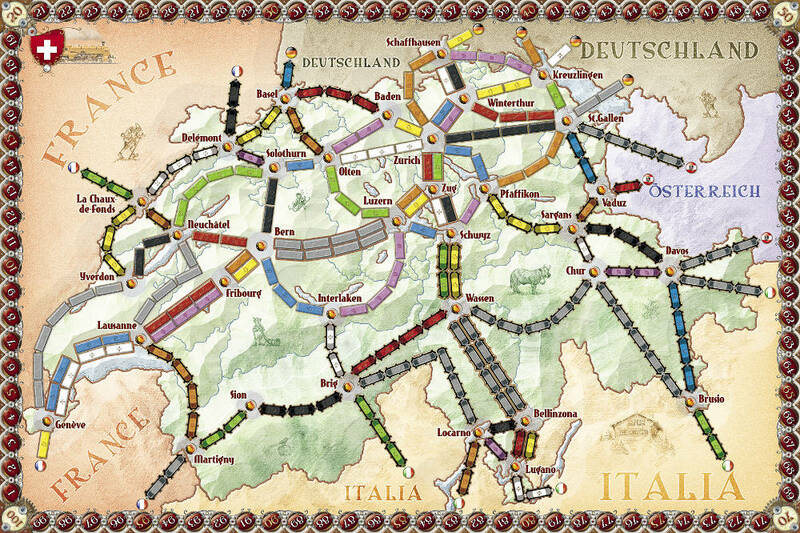 I really like Ticket to Ride. It's a fun game. I recently got Steam Park as a present, and I'm really looking forward to putting it together and playing it! Let me know how it is! I love hearing about new board games.